Grover Service Centre’s service procedure is designed to ensure that every timepiece leaving their workshop complies with its original functional and aesthetic specifications. Our master watchmaker, Martell Grover, is an accomplished craftsman who was trained in Sweden’s renowned horology institutes and has accumulated over 50 years’ worth of experience servicing and restoring timepieces. Rolex watch repair should be entrusted to capable, experienced hands. In the Rexburg, Idaho area, no other facility can deliver the quality craftsmanship and precise restorative procedures as Grover Service Centre. We provide accurate, proven processes to fix all types of movements through applied technologies and unrivaled skill. Upon completion, your Rolex watch repair service will ensure meticulous timekeeping and retain all of its aesthetic qualities. Additionally, you can rest assured that enlisting the expertise of a master watchmaker will maintain the value and service record of your Rolex. We clean all internal mechanisms, replace any non-functioning parts and restore the movement to its original, accurate state. Whether you have a modern, water resistant chronograph wristwatch or an antique, self-winding “bubble back” timepiece from the early 1900’s, you owe it to yourself to take advantage of Grover Service Centre’s extensive experience. 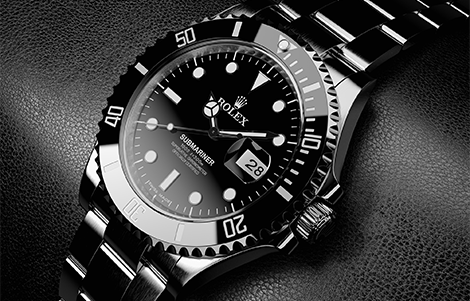 Rolex has earned a prestigious reputation for quality craftsmanship and superior accuracy. Throughout its impressive history, Rolex has established itself as the pinnacle of functional beauty, exceptional performance and powerful precision. Grover Service Centre is proud to be an authorized repair and maintenance facility for these luxurious wristwatches.